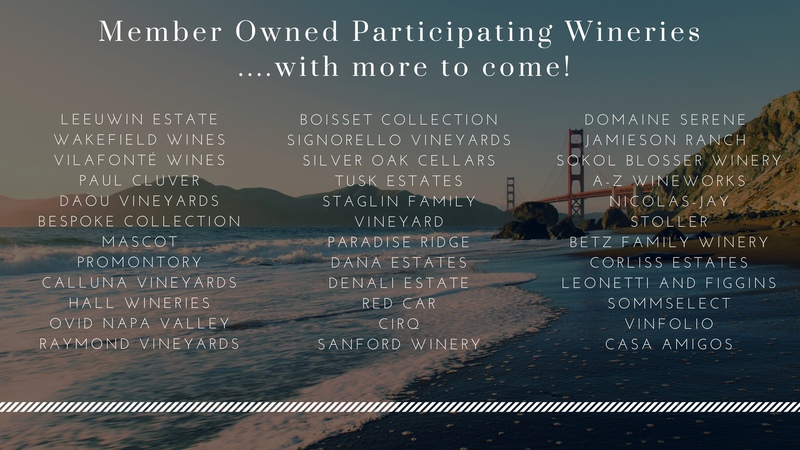 The Bay Area Chapters (along with several other Pacific Region chapters) & the Wine Network are combining resources and talents to host a Wine Party extraordinaire in San Francisco; tapping into the resources of dozens of member-owned and operated vineyards, which will be on full display. Member-owned wineries from around the world will be the highlight of our 3 hour Wine Gala cocktail extravaganza. Prior to the Wine Gala, we will have smaller education sessions covering wine, food and nutrition themes. And immediately after the Wine Gala, the event will be transformed into a chic nightclub theme post party. All located within the Fairmont Hotel in SF. From 1:00pm - 4:00pm, we will have an afternoon Wine Education program, for Members to participate in. There will be 4 back to back sessions with 5 topics for each session (wine, food & nutrition). More details & sign up requests will come a month before the event in February 2019. From 6:00pm - 9:00pm, Members will have an opportunity to try wine from over 50 member-owned wineries, paired with some delicious local bites! Sip & taste from member-owned wineries from around the world while enjoying cocktail style dinner stations. Immediately to follow the Grand Tasting (9:00pm - Midnight), see how the Fairmont Ballroom will transform into a chic San Francisco nightclub. We will have lounge areas to relax, open bars, desert and camaraderie for the rest of the evening. 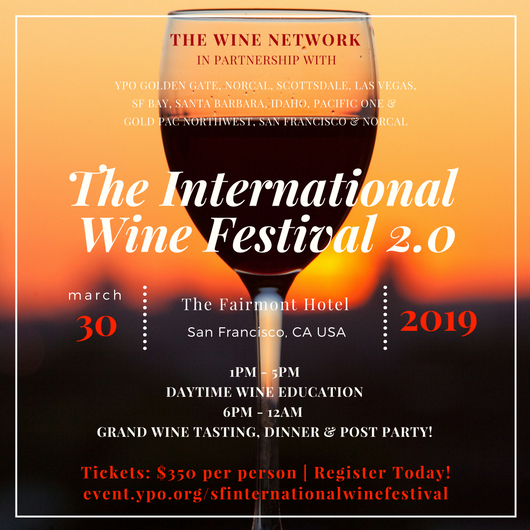 Please reference YPO Wine Festival (Mar 30, 2019). The Wine Network has 100 spots available for this event, as other spots have been taken by sponsoring chapters. Please secure your room ASAP by registering NOW! Select "Add to Calendar" and choose iCal (.ics) below for best results.